INEBRIA is an international network of researchers, policy makers, practitioners and other stakeholders interested in the potential of brief interventions in health and other settings to reduce the harms produced by alcohol and other drug use. It aims to provide global leadership in the development, evaluation and implementation of evidence-based practice in the area of early identification and brief intervention for hazardous and harmful substance use. A new bulletin of Inebria Latina has been launched. In this occasion, it is presented the contribution of participation of Augusto Pérez Gómez from the Corporación Nuevos Rumbos (Colombia) on the brief intervention in schools in Colombia. In addition, it is also presented an article in relation with he predictors of the effectiveness of the brief motivational intervention to quit smoking in university students carried out by Jennifer Lira-Mandujano, Daniel Pech-Puebla, Eréndira Valdez-Piña and Miguel Ángel Pérez -González of the Universidad Nacional Autónoma de México. 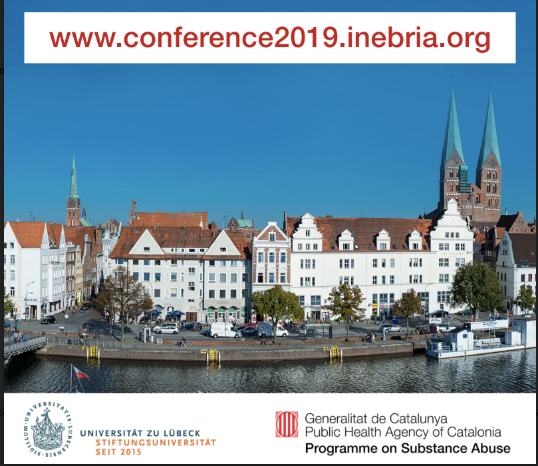 We remind you that the deadline for submission of abstracts for the Inebria conference in 2019 in Lübeck (Germany) has been extended until April 28. You will find more information here. We are glad to announce you that the deadline for 2019 INEBRIA conference abstract submission has been extended until April 28th. Don’t miss the to be involved in the Conference scientific programme by sending your abstract, workshop, and symposium submissions for the INEBRIA conference in Luebeck, September 26-27, 2019! Registration is open! You can register on the conference website. 1o/04/2019 – INEBRIA writing buddy scheme – would you like to volunteer? Following the 2018 INEBRIA Conference in Chile, the Inebria Secretariat received extremely positive feedback from a number of Inebria who were impressed at the high level about the important research being undertaken in the field of brief interventions in non-English speaking countries. To support our international colleagues, it has been proposed to explore the possibility of establishing an INEBRIA writing buddy scheme to help non-English speaking researchers to publish in international journals. It would be set up on a voluntary basis by experienced INEBRIA researchers who have English as their first language and are willing to provide support by editing and reviewing papers before submission to relevant journals in the field. If you are willing to volunteer to serve as a writing buddy, or would like further information, please do not hesitate to contact us: inebria@gencat.cat. 08/04/2019 –Scholarships for the participation in the Lübeck INEBRIA Conference! We are pleased to announce that also this year INEBRIA offers four scholarships to attend the INEBRIA 2019 conference. Candidates should complete the application form at the following link before the 28th of April (note that the regular submission deadline closes on the 14th of April but it will be extended to allow scholarship candidates to submit their abstracts). The application process for INEBRIA scholarships will be done entirely in English. It is important to include all the necessary information when you submit your application otherwise applications will be not accepted. Eligible applicants are any professionals with a genuine interest in expanding alcohol screening and brief interventions in their countries. It is important to have an accepted abstract for the Lübeck conference and be a member of INEBRIA. Membership is free of charge and you can apply to join INEBRIA by completing the registration form found on the INEBRIA website. During this year conference, selected candidates will also benefit from participating in some mentoring activities. More information will be provided after the submission process is closed. You will find more information about the process and conditions here. 04/03/2019 – The call for abstracts submission for the INEBRIA Conference 2019 is now open! From now on and until April 14th, you can submit abstracts for the 2019 conference in the form of posters, oral presentations, workshops and symposiums using the forms available at the conference website. Jennis Freyer-Adam, Jim McCambridge, Per Nilsen, Svetlana Popova and Paul Wallace have been already confirmed as plenary speakers and we are sure they will held splendid presentations on interesting topics such as Brief interventions in and outside the health care system, BI and alcohol policy, Implementation of BI, Bi for preventing FASD and digital approaches to eSBI. The link to the supplement is permanently accessible via the Supplements link on the article page of the journal website. In addition, the final program is already available in this link. In the document, you will find the sessions that will be streamed. These sessions can be accessed at: http://live.grupoz.cl/18d8aa8df239767ca482a89241fde7dd or http://www.senda.gob.cl/. Please, be aware of the time zone difference. The eHealth pre-conference meeting of INEBRIA in Santiago, Chile on Wednesday 26th September 2018 is organized by the e-INEBRIA Special Interest Group in close collaboration with the Chilean INEBRIA conference organizers. The target group consists of all those that are interested in the scientific and professional developments regarding the design, study and implementation of digital interventions for curbing problematic substance use. Participation at the meeting is free of charge and the program is of an interactive nature. Short introductory talks will be conducted by Chairs of the day, prof. dr. Paul Wallace and prof. dr. Heleen Riper (see program attached). In interactive sessions we will touch base on current and beyond digital health innovations by means of 5 discussion themes which range from what big data science has to offer to digital interventions for substance use, to how we can improve the quality of applied outcomes and methods in clinical trials. In the afternoon we will pay specific attention on how we can increase the participation of early career researchers in our domain and the final goal of this day is to have sufficient ammunition to build a roadmap for future activities regarding digital health for substance use. Participation at the meeting is free of charge and all are welcome, both INEBRIA participants and those with a special interest in digital health for substance use. For more information on our pre-conference meeting, please see the link. The venue is Campus Casa Central – Pontificia Universidad Catolica de Chile (Av. Libertador Bernardo O’Higgins 340, Santiago; “Universidad Catolica” subway station) (pending confirmation). Yesterday, Monday 7th, was the deadline for abstracts submissions and scholarships applications for INEBRIA 2018. Thank you very much to everyone for the great interest and for the large number of abstracts submitted! Unfortunately, we just identified some technical problems in the conference e-mail inebria2018@senda.gob.cl since 15th March, thus some applications might have not been properly received, particularly the ones applying for the Latin America and Chile scholarships. For this reason, we need to ask you to resend your applications, in order to be sure of having them all. Since the problem has already been solved, the e-mail address is still inebria2018@senda.gob.cl. In this occasion, and as a guarantee of receiving your files, we will send you an email confirming the reception, no later than the next day. The new deadline to do this is Friday, May 18. Registration, abstracts submission and INEBRIA scholarships applications sent to inebria@gencat.cat have NOT been affected. Finally, we know that this problem could also have affected some other general emails or specific questions sent for the local organization. We apologize and ask you to send us your questions again if we have not answered them. In the same way, if the abstracts submission or the application to INEBRIA scholarships have been affected by this lack of communication, please inform us to evaluate how to solve every specific situation. Lastly, we would like to remind you that the evaluation process begins now and the registration for the Conference is still open keeping the regular fee until August 17. 13/04/2018 – INEBRIA 2018 Conference – Abstract submission deadline has been extended, scholarships and more! We are glad to announce an extension in the abstract submission deadline until Monday, May 7, 2018. Don’t miss this opportunity and be involved in the Conference scientific programme by submitting your abstract here. Please be aware of other important news about the available scholarships. In the next few days you will be able to find this information, specific criteria and application forms, following this link. Finally, we are also glad to announce Peter Anderson, as speaker of the Nick Heather Lecture 2018, with the presentation entitled “Alcohol – still a balanced view? 30 years on from the landmark publication of the UK Royal College of General Practitioners. Where are we, and where do we need to go?”. Other key speakers and plenary sessions will be announced during this week. You will find this information here. 19/02/2018 – The registration and abstracts submission for the INEBRIA Conference 2018 are open! You can register and submit abstracts at the conference website (English version / Spanish version). Abstracts submission ends on April 13. Service for Prevention and Rehabilitation on Drugs and Alcohol Consumption (SENDA) and Pontificia Universidad Católica de Chile. A new boletin of Inebria Latina has been launched. In this occasion, it is reviewed the participation of the professionals from Latin America who attended at the 14th Inebria Conference that took place this past September in New York. It is described the most remarkable contributions they made in both symposia and in the posters presented. The past Inebria conference in New York has been a great success with around 200 participants from all over the world. The slides and presentations are already available in the Inebria website. Remember to save the date for the forthcoming conference that will take place in Santiago de Chile, Chile, September 27-28, 2017. More information here. If you are interested in digital interventions for alcohol and other drugs, we are pleased you join us through the following link. Thanks and welcome! If you are interested in delivering alcohol IBA in the workplace using digital applications, information is available in the following link. 14/09/2017 – 15th INEBRIA Conference. Santiago de Chile. We are pleased to announce that the 2018 INEBRIA conference will take place in Santiago de Chile, Chile, on September 26-28, 2018 under the title “Challenges faced in the implementation of brief interventions in diverse settings, contexts and population groups”. 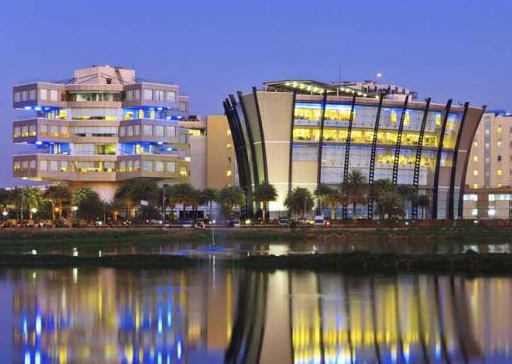 Presentations at the 2nd INEBRIA Thematic Meeting “Screening and Brief Intervention for Alcohol problems” that took place the past 6th of April, 2017 in Bangalore (India) are already available at the following link. INEBRIA was invited together with many other international associations, research institutions, governments and NGO to participate in the first global forum organized by the Department of Mental Health and Substance Abuse or the first time with a primary goal to enhance public health actions in the areas of alcohol, drugs and addictive behaviours by strengthening partnerships and collaboration among public health oriented organizations, networks and institutions in the era of Sustainable Development Goals 2030 (SDG 2030). A new boletin of INEBRIA Latina has been launched with contributions from Viviana Monge from Costa Rica regarding the development of an app to promote alcohol consumption awareness and facilitate the approach to available health services. We also count with the contributions from Guillermina Natera Rey presenting a program addressed to the family members of alcohol and other substances users.